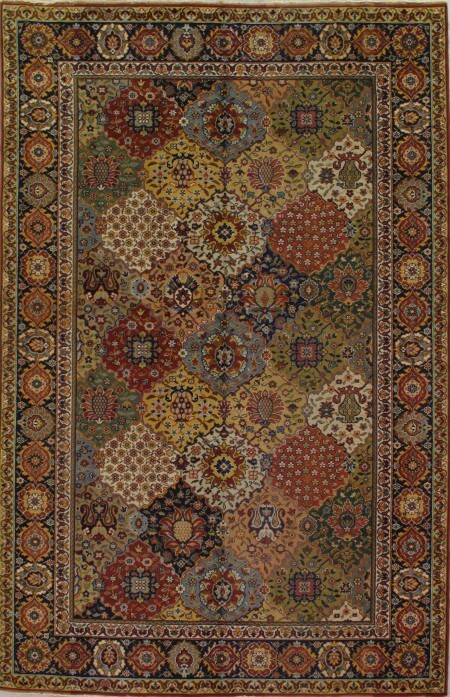 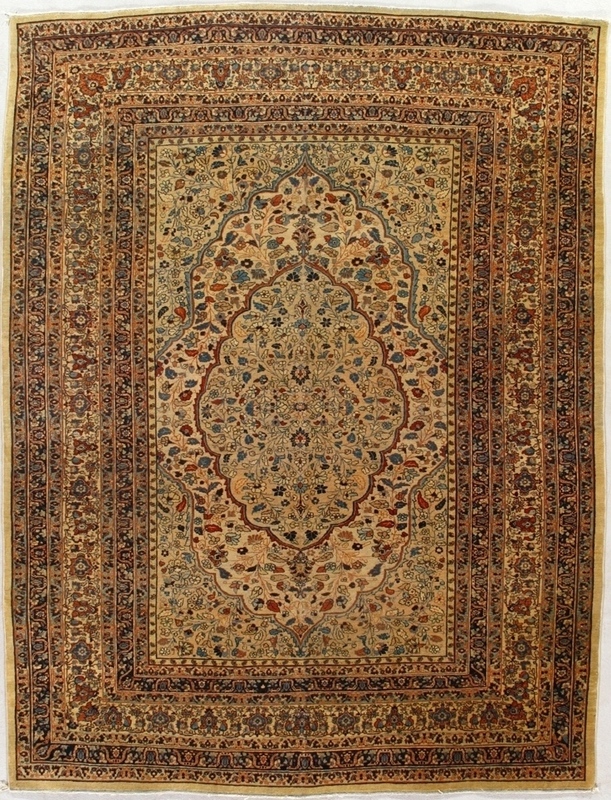 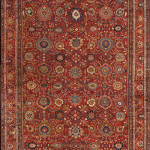 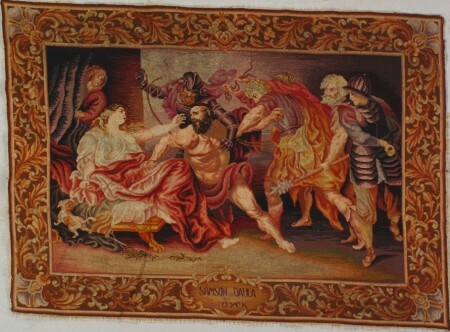 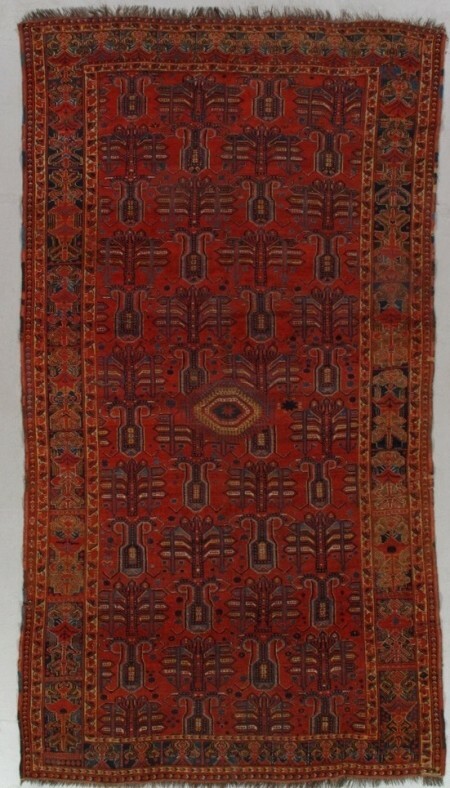 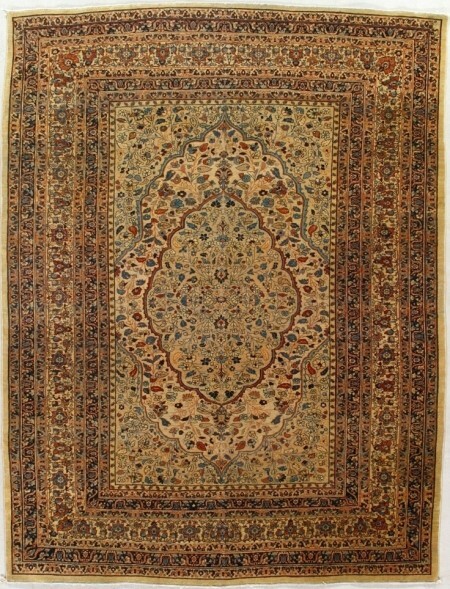 This small, densely detailed carpet was made for the Persian market. 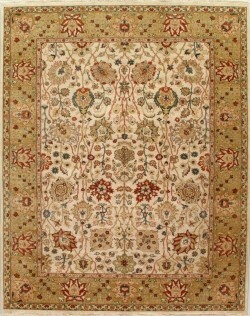 The ivory field contains a cusped medallion and deep matching corners,all with tiny flowers and delicate vines. 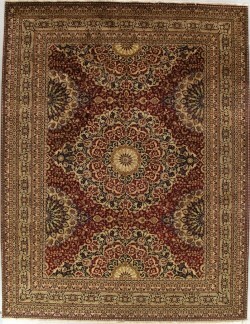 there are seven minor borders flanking the ivory ground palmette design, main stripe.